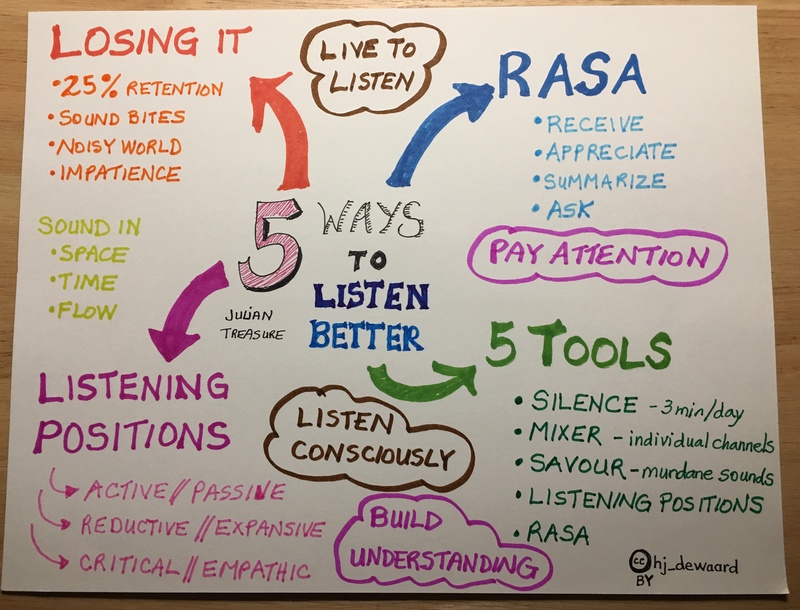 This is a response to the prompt to LISTEN found in the Teacher for Learning module in the eCampus Ontario extend learning. This extend activity created by Peg French was built from experiences and activities done in courses she has taught. 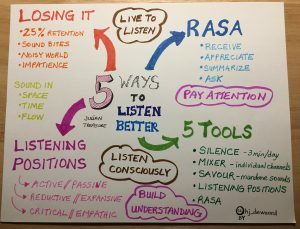 First, the task required active listening of the Julian Treasure TED Talk video titled 5 Ways to Listen Better. 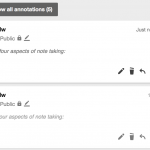 The idea of taking notes while watching this video was proposed – either as a Cornell notes style collection or a concept map. Then a ‘pop quiz’ was provided. Both tasks were completed. The next step was to engage in a collaborative annotation activity using Hypothes.is. 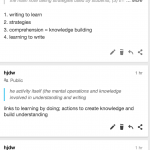 Since I’ve had an account and used this annotation tool in my teaching and learning, this was a great way to interact with an article about notetaking and learning. 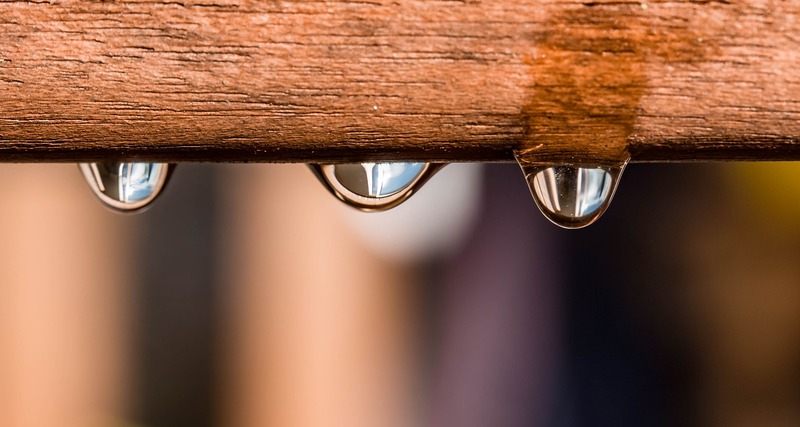 Active listening is not new, but in this hectic digital world it’s becoming more challenging to slow down, listen carefully and filter out competing sounds. Listening, as Julian Treasure notes, should be taught in today’s classrooms.